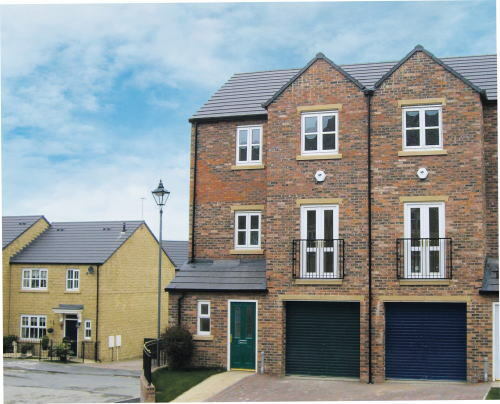 We are delighted to offer for first occupation this brand new, spacious, semi-detached house on the Strathmore Homes’ Consett Park development. The property, built to their ‘Montrose’ design, offers superb accommodation in what is without doubt the best location in town, off Aynsley Terrace and adjacent to Blackhill Heritage Park. Consett is within comfortable travelling distance of all major regional centres. The accommodation comprises Entrance Hallway with Cloaks/wc off, Kitchen/Dining Room with intergrated oven, hob and washing machine, Lounge, Master Bedroom with Ensuite, three additional Bedrooms, and Bathroom/wc with four piece white suite. The property benefits from superb insulation qualities, gas fired central heating via radiators with energy-efficient boiler and uPVC double glazed windows. Pleasant, easily maintained gardens to front and rear and driveway parking completes the accommodation.